The tax secrecy practices of Britain’s Overseas Territories have been “shattered” by the UK government, which in a dramatic turn of events, put its support behind an amendment that will introduce public ownership registers. In the House of Commons today (1 May) foreign office minister Alan Duncan said the government would not oppose an amendment to the anti-money laundering bill, tabled by Labour MP Margaret Hodge and Conservative MP Andrew Mitchell. The government’s decision to support the amendment means British Overseas Territories must introduce public registers that disclose who owns the assets in companies registered in the jurisdiction. If a territory fails to introduce such a register by the end of 2020, they would be forced to through a Privy Council order. Before supporting Hodge’s amendment, the government tried to thwart it, by tabling its own watered-down version. However, in dramatic scenes, the government missed the tabling deadline for their amendments meaning they were not eligible for consideration. Richard Murphy, tax transparency campaigner and director at Tax research UK, told International Adviser the government had to support the amendment after realising it faced imminent defeat. “I guess the mess up meant there was nowhere to go,” Murphy said. The Crown dependencies of Jersey, Guernsey and the Isle of Man were not included in the amendment, however Mitchell said he expected them to follow suit. Murphy said he believed the dependencies were excluded because there could be uncertainties over constitutional arrangements between the jurisdictions and the UK. 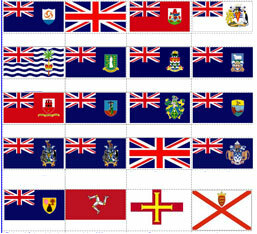 “However, in the Overseas Territories it is absolutely unambiguous that the UK can do this. “British Virgin Islands (BVI), Cayman Islands, Bermuda and so on are all now subject to this stage in the law, they will have to have open registers, it shatters their secrecy for good,” Murphy said. Despite not being included, Murphy said he believes the Crown dependencies will be forced to eventually follow suit. “I think there could be a private members bill, or another amendment the government might put forward to make them comply. “I don’t think the UK is going to put up with the overseas territories having one standard and the Crown dependencies having another,” he said. Foreign Office minister Alan Duncan told the House of Commons it was not clear that the UK could enforce such a register on the territories. He made a point of noting that overseas territories were not represented in the UK parliament. “Legislating for them without their consent effectively disenfranchises their elected representatives. Geoff Cook, chief executive of Jersey Finance, told International Adviser the island was absolutely in line with the UK in its commitment to combat money laundering and financial crime. “Information on our central register, which is tried and tested for almost three decades, is available to the people who need that vital information and we are constantly working with law enforcement agencies and other relevant authorities to ensure they have everything they need. “Our position is clear: we don’t allow the identities of beneficial owners to be hidden, and you can’t buy or form ‘shelf’ or ‘shell’ companies in Jersey. “We’re proud to have a rigorous checking process, and that means we’re one of the few jurisdictions that can have absolute certainty about its business practices, and who it works with – now, and in the future,” Cook said.